Childism. Noun. (uncountable) A prejudice and/or discrimination against the young. A systemic condition that promotes stereotypes of the young. “The idea of Childism is based around feeling as if you don’t have a voice in society, like you’re stuck in the middle of being a kid and an adult, that your thoughts and opinions often get lost in the clutter because of your age. It’s the constant pressure of expectation, stereotypes, fitting in, mental health and bullying, all issues that affect young people of today and will inevitably affect the future of our people and world. As young people we need a voice, we need to have freedom to be creative, to speak our minds and to be treated like we are valued, that is when the cycle will break. I hope kids can listen to this song and know they are not alone and that their voices are among many others crying for help, the louder we speak up the more we will be heard! 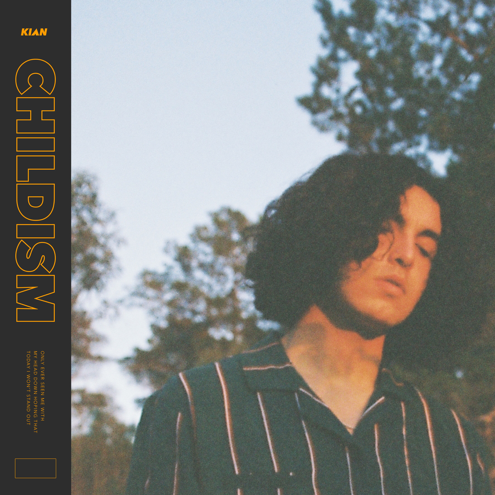 Fresh from owning the stage at the national Laneway Festival and a support slot with Jorja Smith, Castlemaine teenager KIAN has today dropped new single, ‘Childism’, the follow up to his debut single ‘Waiting’. The lyrical content is deeply personal and demonstrates his ability to merge melody with subtle influences of rap. Just announced is KIAN’s performance at the UK’s Great Escape Festival 2019. He’ll hit the stage in Brighton this coming May in a visit to the UK. Tickets on sale now. KIAN’s debut single ‘Waiting’ has struck a chord, winning him triple j’s Unearthed High in 2018 and reaching #20 on triple j’s Hottest 100 of 2018, #16 on ARIA and growing around the world and reaching #1 on Shazam. TOTALLY UNICORN ANNOUNCE NEW ALBUM ‘SORRY’ SET FOR RELEASE ON APRIL 12 + REVEAL NEW SINGLE/VIDEO ‘I’LL BE FINE NOW’ + ANNOUNCE ALBUM TOUR!